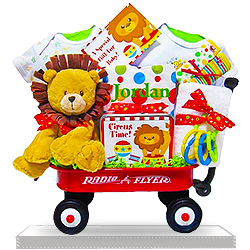 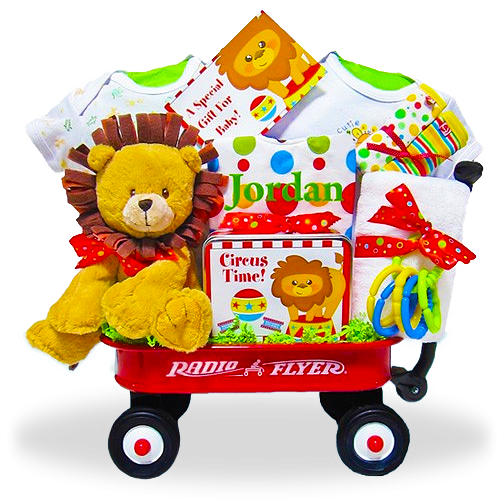 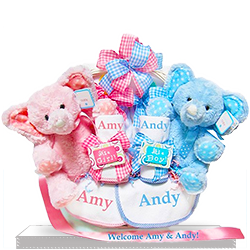 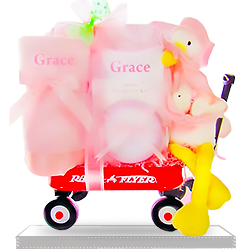 A colorful gift that's suitable for a baby boy or girl, it starts off with a Radio Flyer wagon--baby sized! 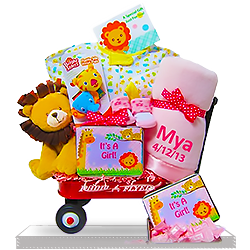 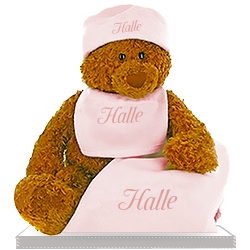 A plush lion rides in the wagon along with 2 cotton rompers,a minky security blanket, two baby wash cloths, and a personalizable cotton terry cloth bib. 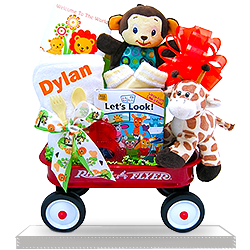 Learning links are included for use as baby grows. 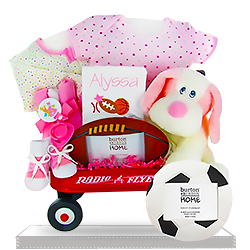 Included also is a circus themed gift tin filled with sweets for mom and dad!